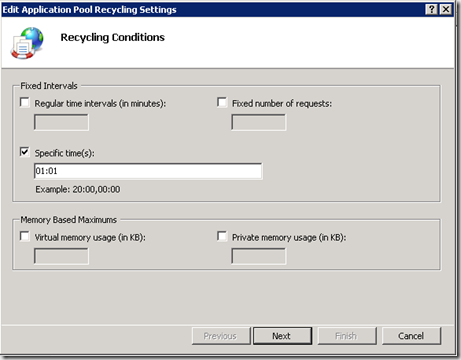 This post discuss about recycling application pools when memory limits are exceeded. Recycling based on memory limits is not necessary in 64-bit environment. 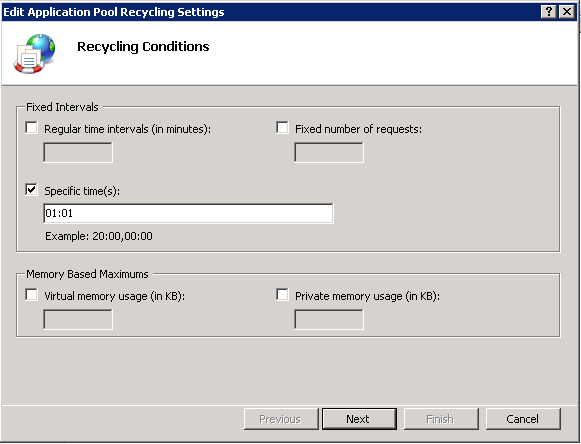 It is suggested that recycling should not be enabled in 64-bit environment. 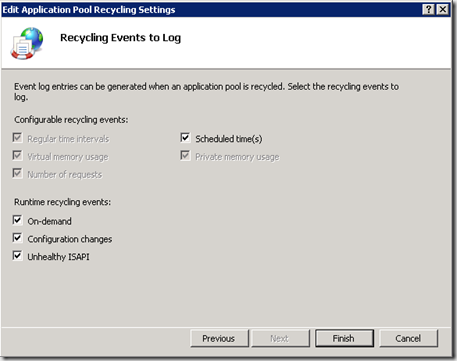 Unnecessary recycling can result in dropping in user requests and performance. 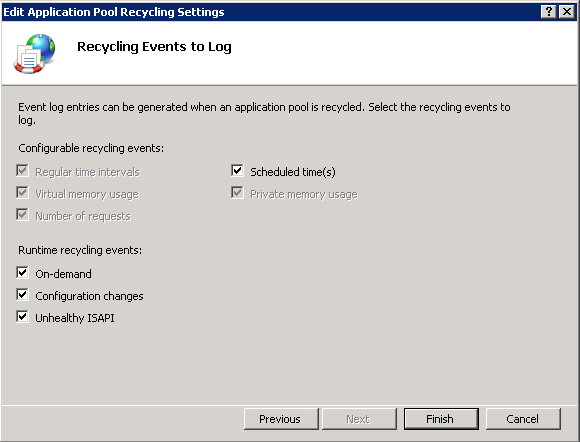 Note: When application memory limits are exceeding then change the recycle settings in Internet Information Services(IIS). 1. Make sure that you are a member of Farm Administrators group. 2. Open SharePoint Central administration website. 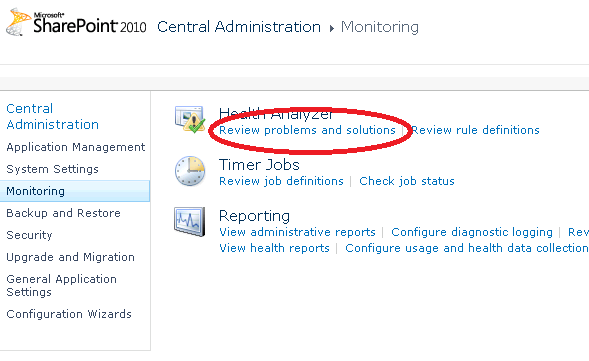 Click Review problems and solutions in Monitor section. 3. 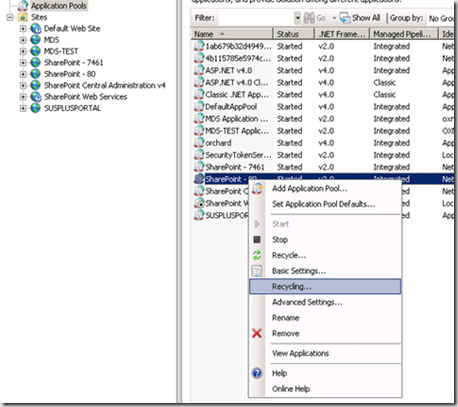 Now login to the server, open the Internet Information Services (IIS) manager from Administrative tools. 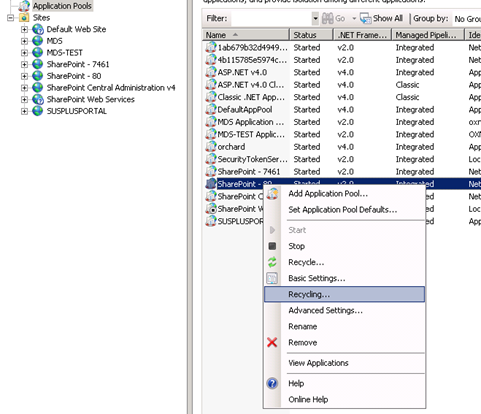 My question is, I have this on all my app pools and still have this error in Sharepoint. Not finding anything else that makes any concrete sense to resolve this error. MS does not recommend this for a 64Bit OS. Turn it off and LOOK for the problem.